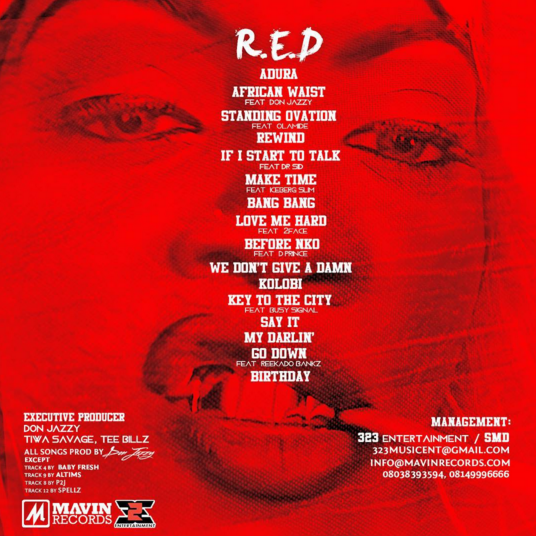 We brought you news about 2 days ago that the first lady of Mavin Records – Tiwa Savage, was about to release her sophomore album titled -“R.E.D” (Romance, Expression, Dance). Well here is the tracklist for the highly anticipated album. 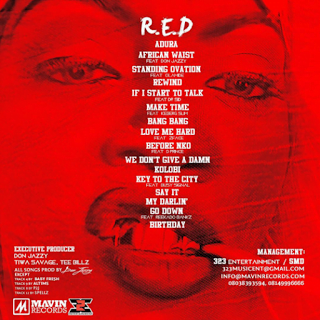 The 16-track album features prominent and highly talented artists ranging from: Olamide, Busy Signal, to her record label mates, Dr. SID, D’Prince, and Reekado Banks.